96 years gone, and still every year we mark this day. Britain, France, Belgium, Canada, Australia, Russia… and on the other side Germany, Austria, Bulgaria, Hungary (and the remains of the holy roman empire), Turkey (and the other ottomans)… an entire generation of young men in Europe were lost to the most futile, worst run war, in modern history. But I digress… I was talking about why it is called poppy day. Flanders is a region of Belgium, where (along with Wallonia and northern France) the fighting in the great war was at it’s bloodiest. The worst battles of the war were at Ypres, the Marne, the Somme, and Verdun. Perhaps 200,000 total dead at the Marne (1st and 2nd), perhaps 50,000 at Ypres, Perhaps 300,000 total dead at Verdun… (10 months, and the bloodiest battle of the war, though the Somme had the bloodiest day); and nothing to show for it but blood and mud. 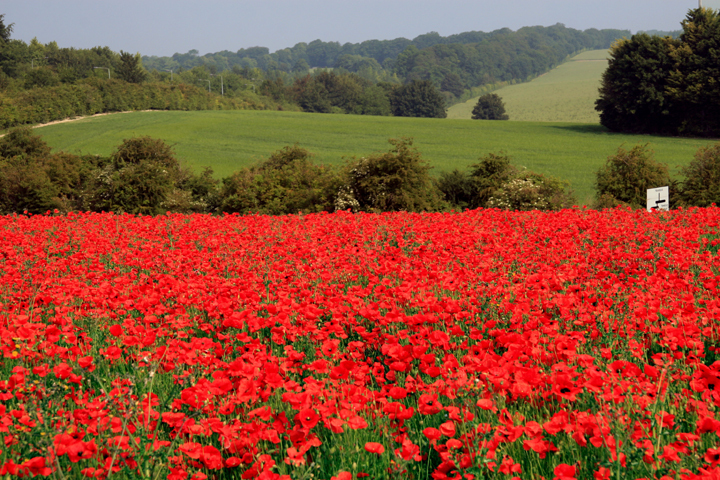 There was an amazing thing though… That blood, and that mud… it became magnificently fertile soil; and soon after the fighting ended, all over these horrific battlefields, poppies began to bloom.